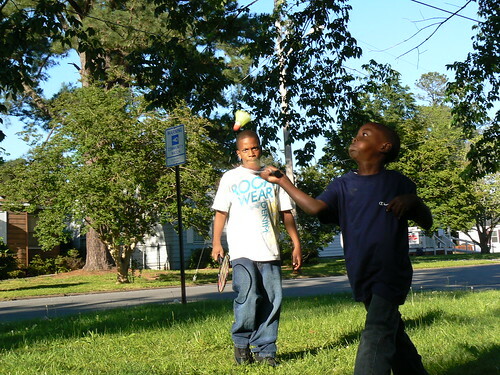 This week’s Weekly Winners once again come from Elizabeth City, North Carolina and focus on the neighborhood kids. 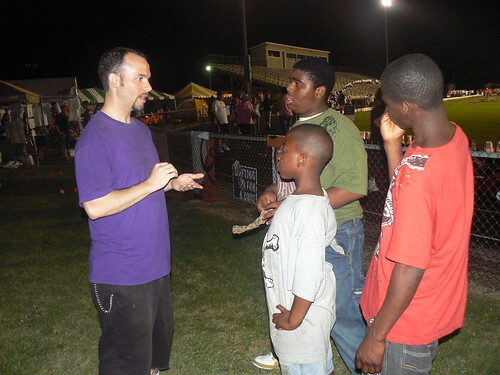 On Saturday, Ryan and I did the Pasquotank County Relay for Life. Three neighborhood kids came with us and stayed overnight. They had some misconceptions about cancer, so the event turned out to be educational as well as fun. The boys had a blast walking, playing football, playing basketball and competing in the various games throughout the evening. Even the rainstorms did not deter their enthusiasm. 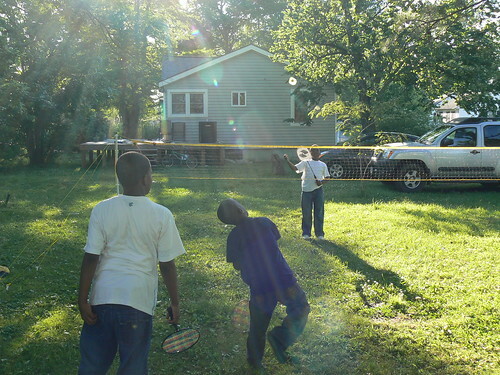 Our backyard is now home to a badminton net. 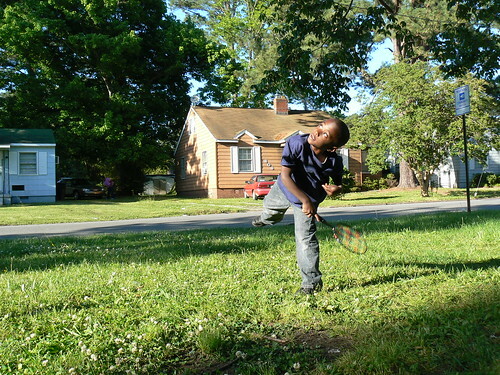 The weeknight evenings have been filled with impromptu “tennis” matches. I have been amazed at how rapidly the boys have improved. In just a week of playing, they hit consistently and have no problem winding me. It’s also impressive how hard they hustle. Six year old Tykee has to work particularly hard as he is smaller than the rest of the players. 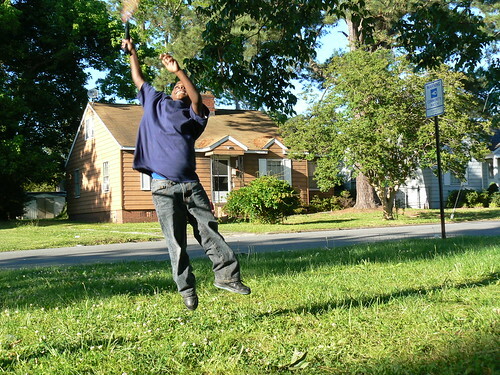 On the subject of badminton, earlier this week a kid I had never met before came over to play. After about an hour of wacking the birdie around with the other boys, he got thirsty. As I escorted him inside to get water, he asked me a question. 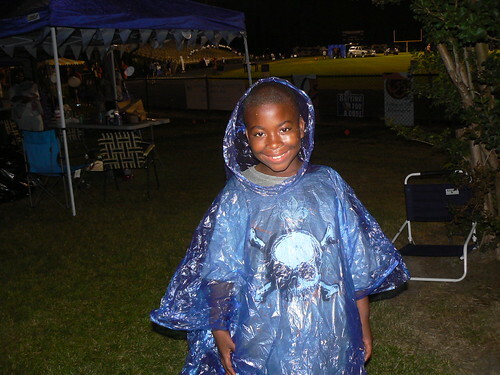 More pictures of the Pasquotank Relay for Life and our Badminton Matches can be found on my Flickr site. Also, be sure to check out more of Weekly Winners out at Sarcastic Mom! Three more trees have been added to the Silo Trees of the U.S. listing. Kansas’ count went up by two and solely holds the lead once more! 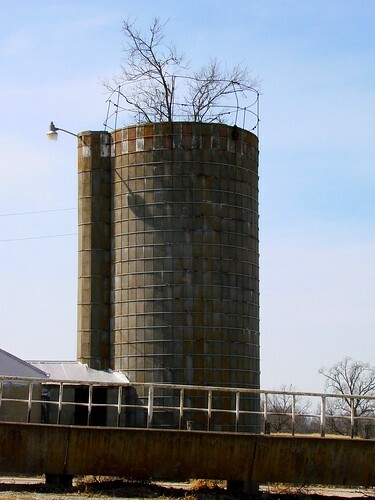 Entitled “Reclaimed”, this photograph captures a silo tree in Sioux Falls, South Dakota. Photograph courtesy of Dakota Dave. Another find by Ken Wolf! This tree is in Douglas County, Kansas. Photograph courtesy of Ken Wolf. In her book, Between Earth and Sky: Our Intimate Connection to Trees, Nalini Nadkarni dedicates an entire chapter to “Symbols and Signs”. A small part of that chapter discusses business logos. A few years ago, one of Nadkarni’s students, Jade Leone Blackwater, collected and analyzed tree-related logos. Within only a few days she found over 200 logos. Trees, it turns out, are common in corporate branding. Last week, Google unveiled their Doodle 4 Google Winners. School children were asked to sketch a Google Logo representing “What I Wish For the World”. 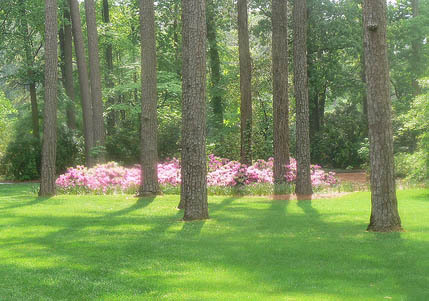 Just like professionally designed logos, trees make frequent appearances. Out of this year’s 400 State Finalists, 90 artists, including this year’s winner Christin Engelberth, incorporated a tree into their design. Nadkarni and Blackwater spotted trends in the tree-related logos they looked at. Some of those same themes can be seen in the Doodle 4 Google entries. Many of the young artists used trees to support messages of sustainability, taking care of the environment, green living and recycling. Sometimes a tree was used to identify a place, such as a beach in paradise or an African Savannah. But most telling are the remaining entries. They used trees to convey a myriad of messages– Love, Safety, Friendship, Peace, Happiness, Fun, Hope, Completion, Longevity, Harmony. P.S. If we counted tree-related products such as fruit and leaves, the tally would be even higher! 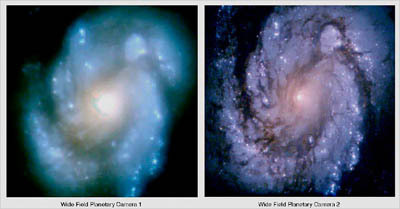 When the Hubble Telescope was first launched by NASA, it infamously had a bad mirror. It produced nothing but blurry images and the project became a national joke. But three and a half years later, the telescope was repaired and since then has produced 570,000 images, crisp images, capturing the beauty of wonder of space. A few weeks ago at the Norfolk Botanical Gardens I got caught in a rain storm. Sadly, my camera got a few droplets on its lens. Wiping it with my soaked shirt just made it worse– and putting the lens cap complicated the matter even more, adding fog into the mix. All my pictures were coming out blurry. Like NASA, I had to make some corrections. And like NASA, I had some complications. Their telescope was 350 miles above Earth. And me– every garment I had was wet from the storm. Insulated by denim, my underwear was dry. In case you are skeptical of my claim, Ryan Somma did catch a “Behind the Scenes” moment of my blog. 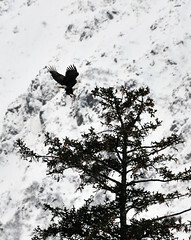 (Photo by DCSL) Happy Arbor Day, Alaska! Alaska celebrates its Arbor Day the third Monday of May, so Happy Arbor Day Alaska! Alaska’s State Tree is the Sitka Spruce (Picea sitchensis). The needles of the spruce trees are high in Vitamin C. In the 1700’s explorers and sailors found spruce beer to stave off scurvy. In fact, before an 117 day voyage past Antarctica, Captain James Cook ordered spruce beer to be brewed. The pleasures of spruce beer were not lost to history. You can make your own, or if you prefer– you can purchase Alaskan Brewing Company’s Winter Ale. It’s made with tender Sitka Spruce tips. 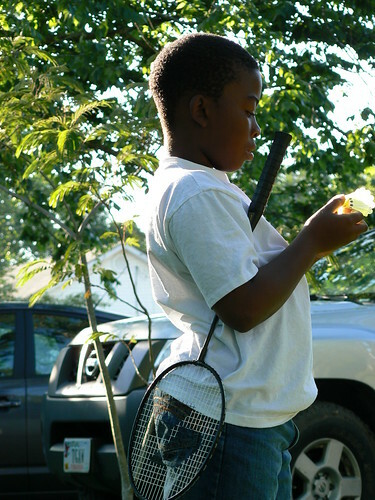 To find out when your state celebrates Arbor Day, check out Arbor Day Dates Across America at ArborDay.org. (Photo by faegirl) Happy Arbor Week, Maine! Last month, on April 15th, protesters convened on various metropolitan areas to conduct “Tea Parties“. They wanted to make a statement about taxes and decided to name their events after a famous 1773 protest – the Boston Tea Party. The tariffs on tea imports weren’t the only controversial good of the times. Maine’s State Tree, the Eastern White Pine, was also a source of great unrest and “a major motivating factor for the American Revolution“. The Eastern White Pine grew tall. It’s wood was strong. It was light and rot resistant. This made the tree perfect for the masts of great ships and it just so happened the British had a formidable Navy they wanted to provide for. 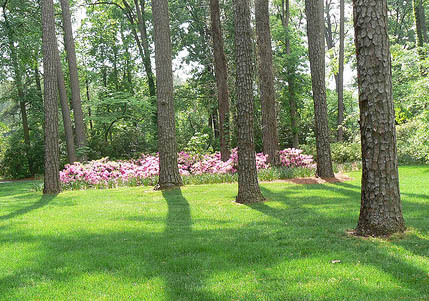 All Eastern White Pine trees with a diameter greater than 12″ were claimed for Great Britain. It didn’t matter where the tree was or who lived on the land. The tree was marked with a Broad Arrow and just like that, it was property of the king. Valuable material was snatched away. The trees became souvenirs of injustice and “weighed heavy on the minds and hearts of the colonists desire for independence“. In the winter of 1772, sawmills were caught violating the law and using the marked trees. That spring, a sheriff and his deputy arrived in the town of South Weare, New Hampshire with orders to arrest the leader of a sawmill. 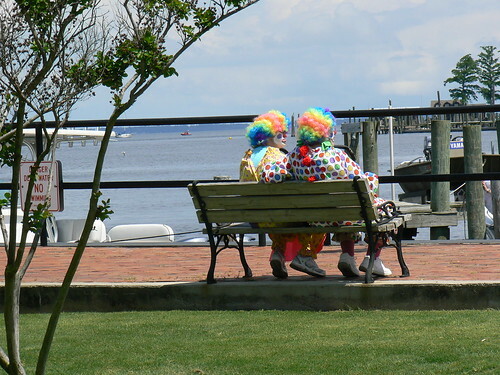 As the two men rested in a local inn, they were assaulted by a group of twenty men. The sheriff and his deputy were lashed. Their horses were disfigured. Then both men and their horses were driven away in disgrace, heckled by the townspeople. 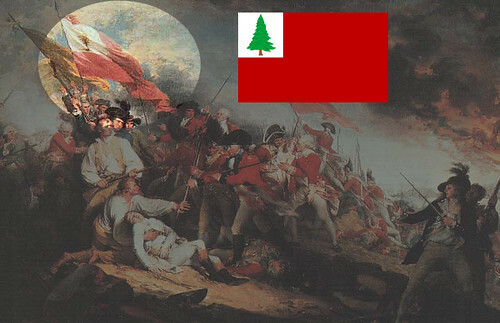 This community’s uprising is called “The Pine Tree Riot“. The date was April 13, 1772– more than eighteen months before the Boston Tea Party. 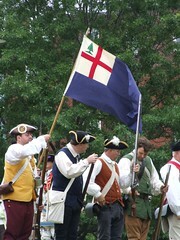 As rebellion grew into revolution, the first Continental Flag was conceived and was reportedly present at the Battle of Bunker Hill. A reminder of what they were fighting for was included in the design. It wasn’t a teabag on the flag, it was a tree. This week’s photo inventory was sparse. I was sick all week. But I did snag a couple of shots and I didn’t have to travel far. I went briefly to Elizabeth City’s Potato Festival. 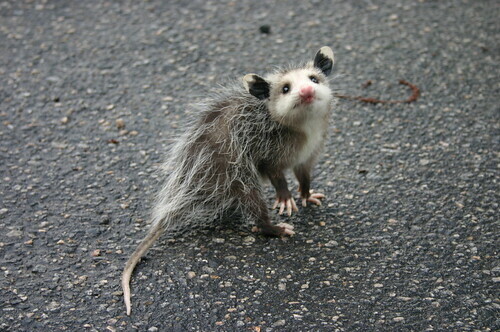 Even closer to home, a baby opossum with a head injury (don’t worry- injury not pictured) wandered into the yard. He’s currently sleeping in a box and waiting to be claimed by a wildlife rehabilitator. 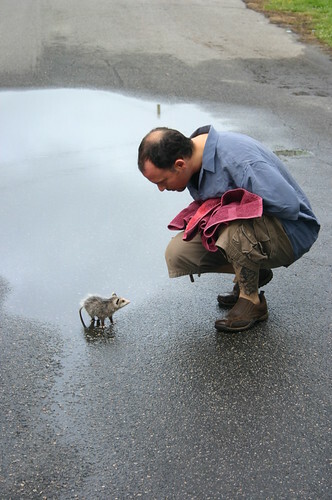 More pictures of the baby opossum can be found on my Flickr site. Also, be sure to check out more of this week’s Weekly Winners out at Sarcastic Mom!